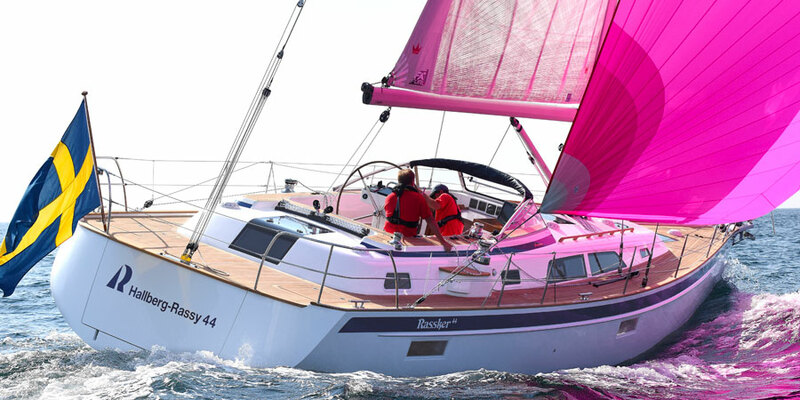 The new Hallberg-Rassy 44 will celebrate its world premiere at the Boot 2017 in Düsseldorf. The 14.45 m long boat with a draft of 2.10 m is classified in category A for unlimited ocean travel. 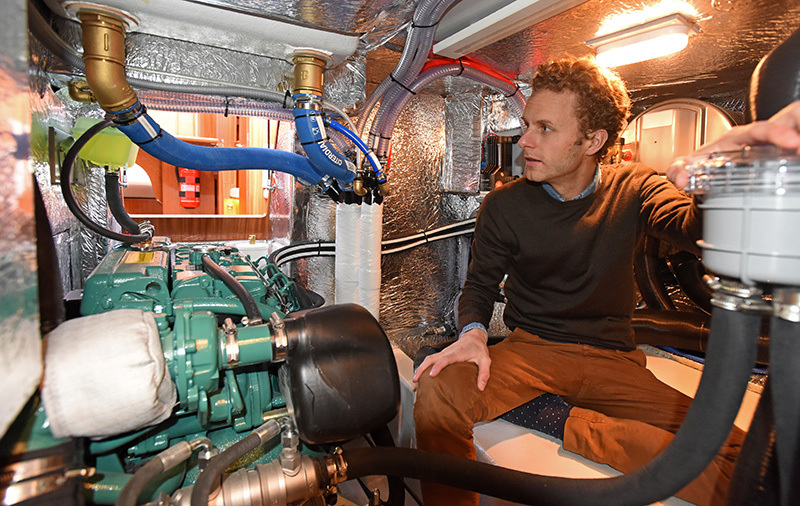 For the first time, Hallberg-Rassy has used a twin-rudder configuration. 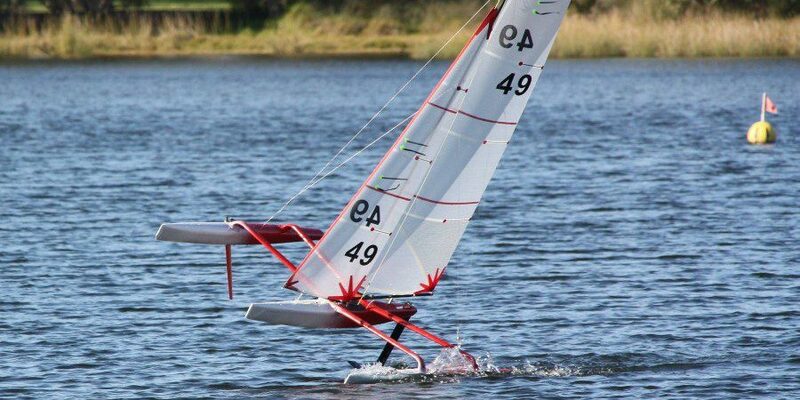 The load on each rudder blade is thus reduced, which allows for more safety and better control when sailing at the limits. 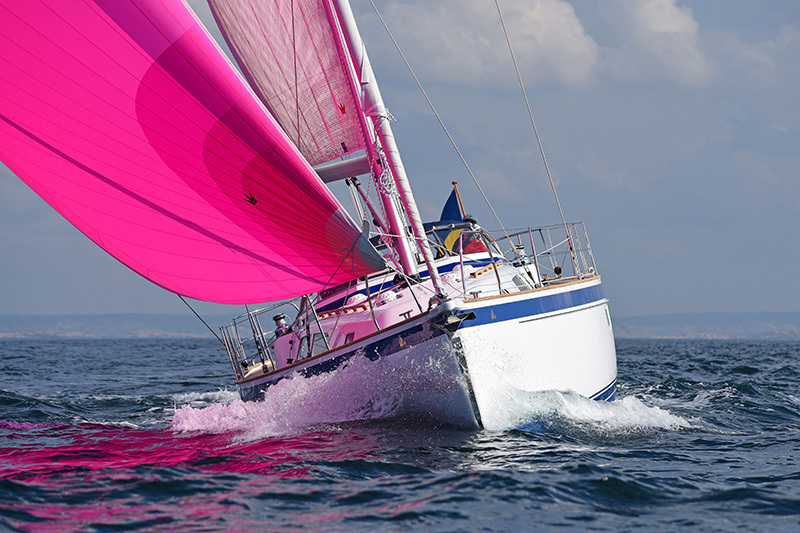 In combination with a larger steering wheel and the resulting better transmission, sailing becomes much more comfortable in windy and wavy conditions. The cockpit, as typical for the shipyard, is generously designed and well sheltered. The cockpit length has been extended by 19 cm compared to the predecessor HR 43 Mk III. Thanks to the multifunctional chart plotter and well-organized pedestal head, navigating the yacht becomes easy. 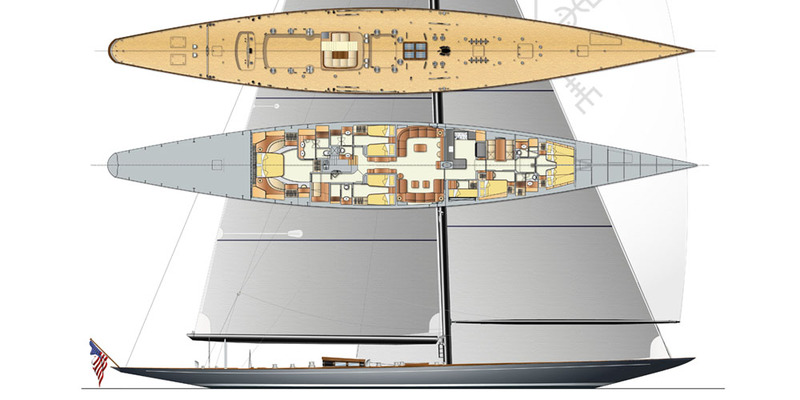 The great stability of the yacht in connection with the sail plan allows for consistently high speeds even at steep sail angles. The code Zero, the gennaker or the anchor line can be attached to the integrated bowsprit. All lines run into the cockpit below the deck and line surplus can be kept in a separate box in the coaming. At the rear, the bathing platform can be equipped with an electric lifting system. 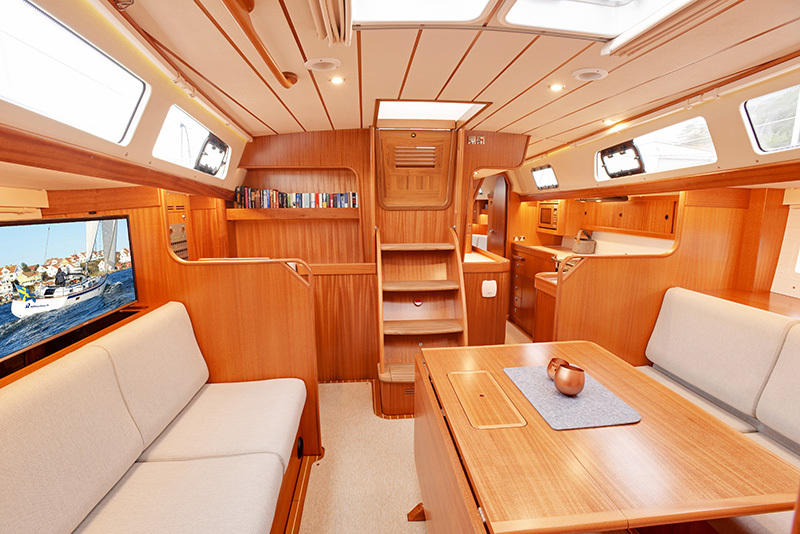 The aft cabin is generously dimensioned and can be fitted either with two separate berths or a double berth accompanied by a dressing table and extra seating. 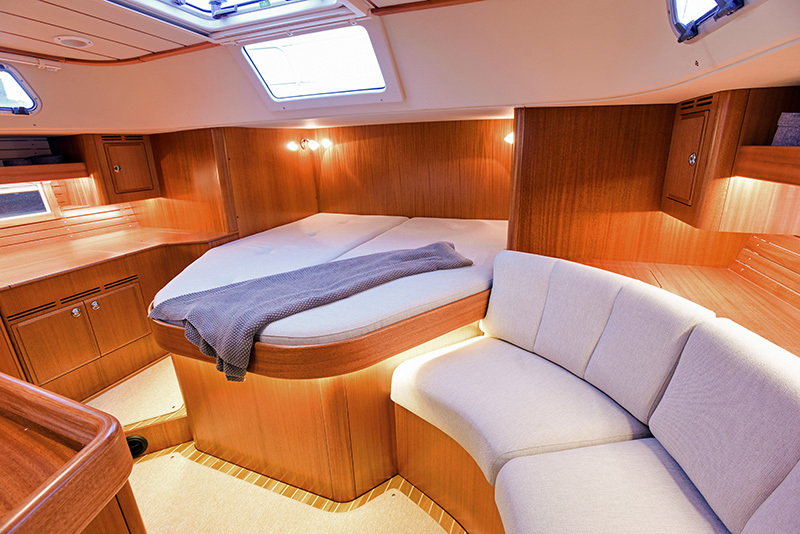 A large V-cabin with separate bathroom is offered as standard in front of the mast. 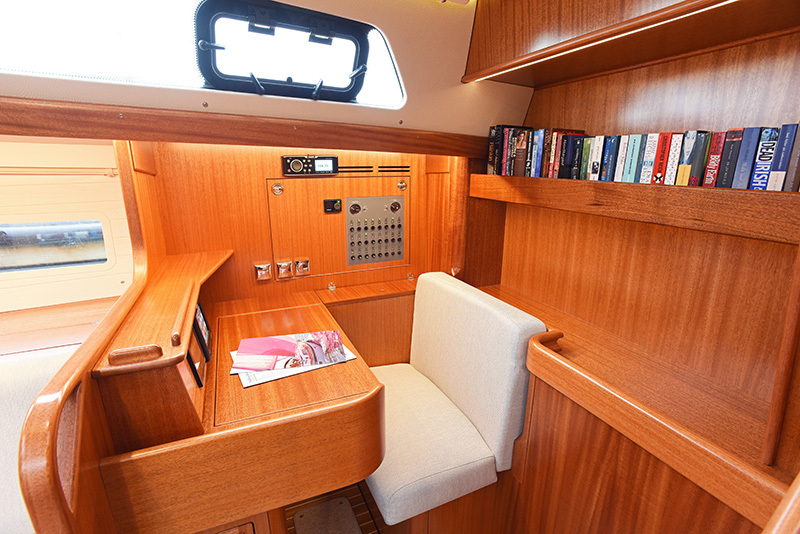 Alternatively, the front cabin can be fitted with a double bunk bed. 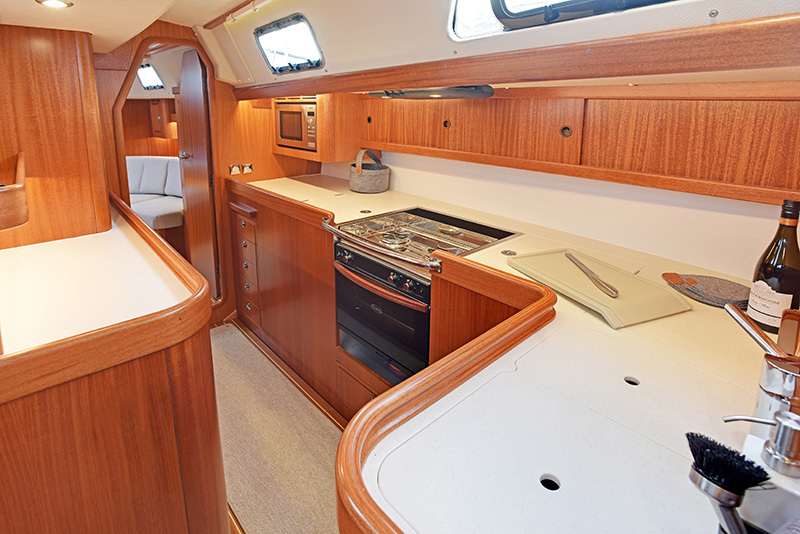 The boat has six deck hatches, eight side windows and four hull windows. Apart from the hatch in the sanitary area, all windows have clear glass, the hull windows being somewhat larger than in the previous model.